The WB is a small, lightweight device that activates and illuminates when water is sensed. Simply place on a flat surface under your equipment or attach using the included mounting brackets. The WB relies on the electrictal conductivity of water to change the resistance across two contacts at the base of the enclosure. When the contacts are bridged by water, the resistance changes and triggers an alarm. Choose either the WBWO-1 or the WBWA-1 model for applications that require visual alert and/or relay contacts. Both units require an external 24VAC/VDC power supply. 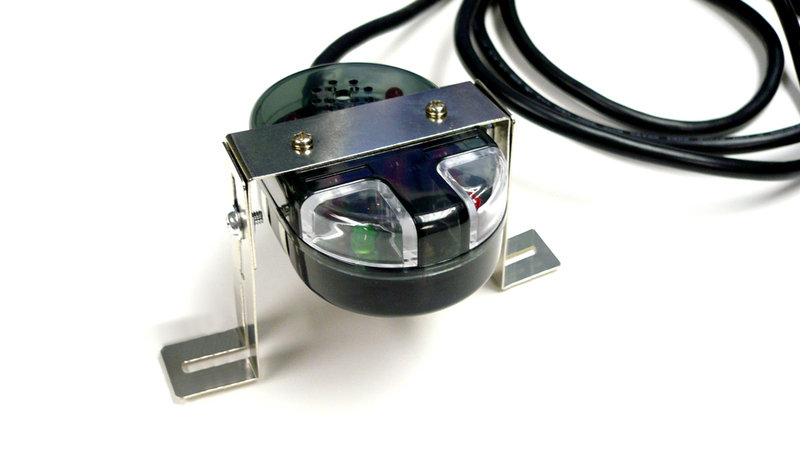 The WBWA-1 unit will trigger both visual and audible alarms when water is sensed.